Maroon 5 is an American pop rock band from Los Angeles, California. 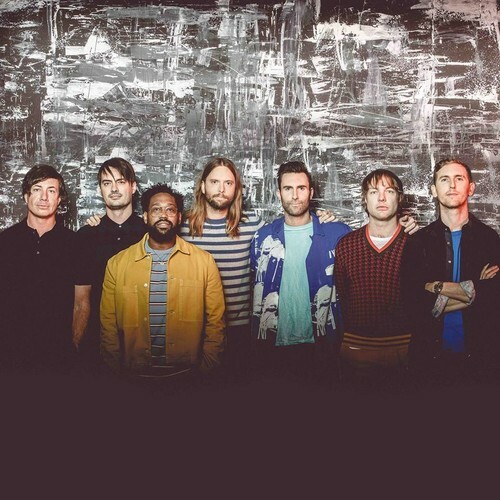 It currently consists of lead vocalist Adam Levine, keyboardist and rhythm guitarist Jesse Carmichael, bassist Mickey Madden, lead guitarist James Valentine, drummer Matt Flynn, keyboardist PJ Morton and multi-instrumentalist Sam Farrar. Original members Levine, Carmichael, Madden and drummer Ryan Dusick first came together as Kara's Flowers in 1994, while they were still in high school. After self-releasing their independent album We Like Digging? in 1995, the band signed to Reprise Records and released the only debut album The Fourth World in 1997. The album garnered a tepid response, after which the record label dropped the band and the members focused on college.